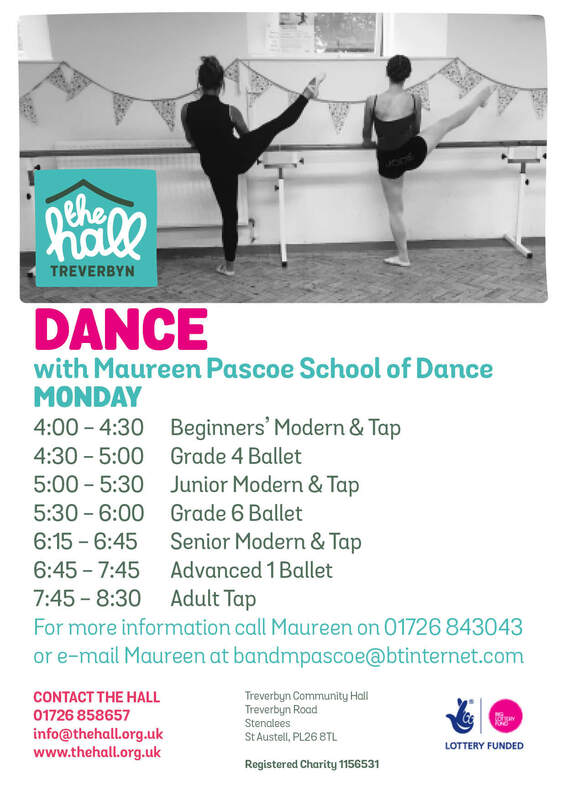 A brilliant variety of ballet, tap and modern dance classes for all ages to enjoy thanks to local legend, Maureen Pascoe. Mo has been teaching dance in the China Clay area for decades and really is THE person to go to. Boys and girls can take modern, tap & ballet lessons, perform in shows, enter competitions and prepare for auditions. They are fun and child-centred classes run by professional dancers. 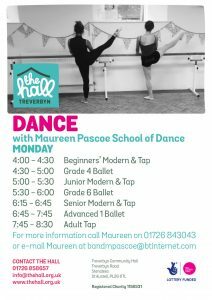 Ballet classes for all ages and grades are also available on a Wednesday.